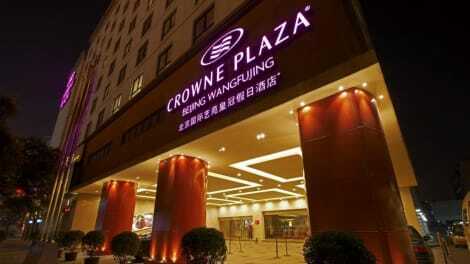 Stay at the unique Crowne Plaza Beijing hotel for a central location on Wangfujing Street and easy access to Beijing's business district. Step from the bustling Wangfujing Street into the soaring, 9-storey atrium of Crowne Plaza Beijing's Lobby, where you'll be greeted by our friendly Front Desk staff. 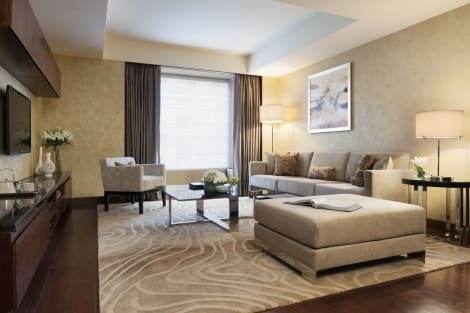 You can refresh with coffee and check email with complimentary wireless Internet on our sumptuous, leather sofas or settle into your calming room or Suite. Feel the pulse of the city from your central location on Wangfujing Steet, a short walk from Beijing's international banking and shopping districts. 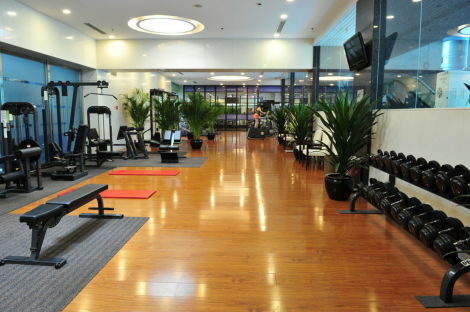 It's 45 minutes' drive to Crowne Plaza Beijing from Beijing International Airport and you're just 8 minutes' walk from Wangfujing subway station. Stroll 15 minutes to the mighty Forbidden City, Beijing's vast, imperial network of wooden temples and palaces, and a UNESCO World Heritage Site. The tempting Beijing roast duck is a favourite in our Xiao Wang Fu restaurant, while we import succulent Australian beef for our Angus Grill. Invite up to 300 people to banquets or conferences in our elegant Grand Ballroom, where our Crowne Meetings Director will see to every detail. For relaxation with a sophisticated twist, come to Crowne Plaza Beijing's indoor rooftop pool and Jacuzzi to unwind in style against a backdrop of majestic views over this dynamic and ever-changing city. Satisfy your appetite for lunch or dinner at Residence Lounge, a restaurant which specializes in Chinese cuisine, or stay in and take advantage of the room service (during limited hours). Buffet breakfasts are available daily from 6:30 AM to 10 AM for a fee. Featured amenities include complimentary newspapers in the lobby, dry cleaning/laundry services, and a 24-hour front desk. This hotel has 9 meeting rooms available for events. A roundtrip airport shuttle is complimentary during limited hours. With a stay at The Emperor Qianmen Beijing, you'll be centrally located in Beijing, steps from Beijing Qianmen Street and within a 10-minute walk of Chairman Mao Memorial Hall. This 4.5-star hotel is 0.7 mi (1.2 km) from National Museum of China and 1.2 mi (1.9 km) from Lao She Teahouse.